Russia staged its first UIPM Coaching Certification Programme (CCP) course in St Petersburg from December 18-22, enabling coaches from three cities to pass their introductory qualification. 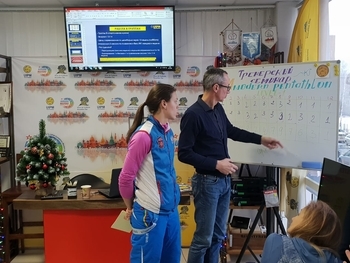 Male and female coaches came from clubs in St Petersburg, Kostroma and Yekaterinburg to enrol for the five-day Level 1 course, run by UIPM Instructor Alexei Vasilianov from Moldova. The initiative was facilitated by the Russian Modern Pentathlon Federation and the syllabus primarily covered Swimming and Laser Run training. Some aspects of other Pentathlon disciplines were covered and there were also special sessions focused on anti-doping, physiology, competition organization and team management.